The Black Project Type S is a new speedfin design too me. 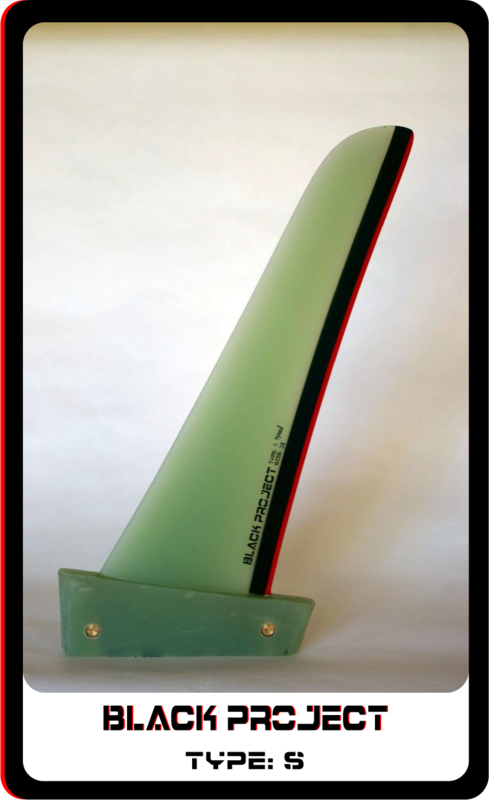 Tom Hammerton and Martyn Ogier ride/ developed/ tested these fins. We know Martyn from the speed:world:cup and Tom from Hotsails but also high speed on Maui between breaking waves. The design makes me remember the Kai Kopf fins some years ago. I bet there is plenty of control in this design. A good thing might be the way these fins are milled (CNC), a good finish can just add sometimes this 5-10% extra performance.